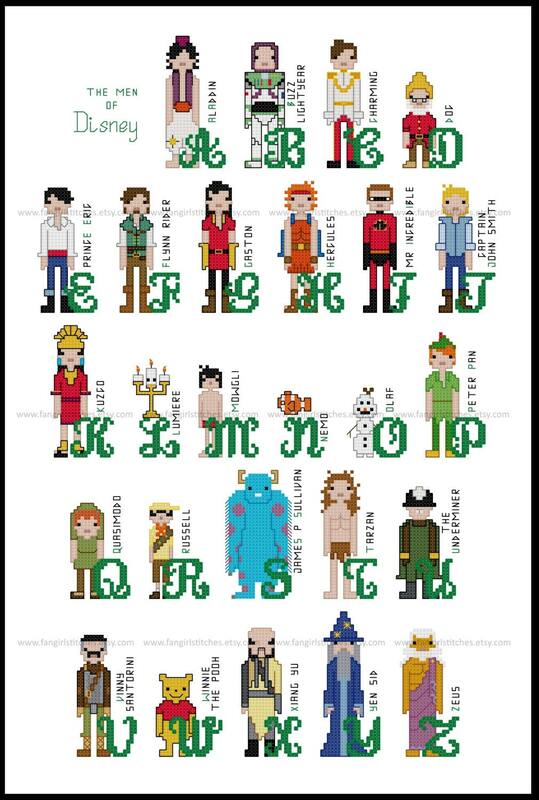 Teach the alphabet with your very own Disney Character alphabet, featuring 26 of your favourite male characters. 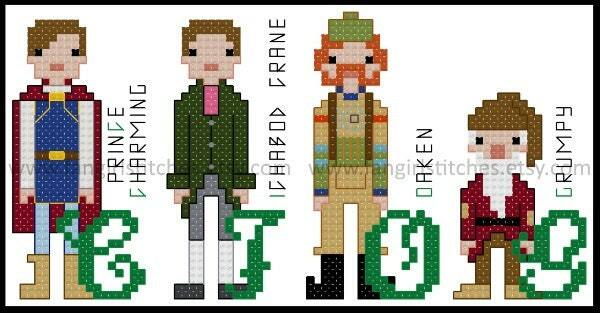 This cross stitch pattern also includes bonus alternative characters for C, I, O and G because I couldn't choose my favourites! This design features whole stitches and backstitch, with the occasional fractional stitches and French knots. It’s suitable for intermediate stitchers. 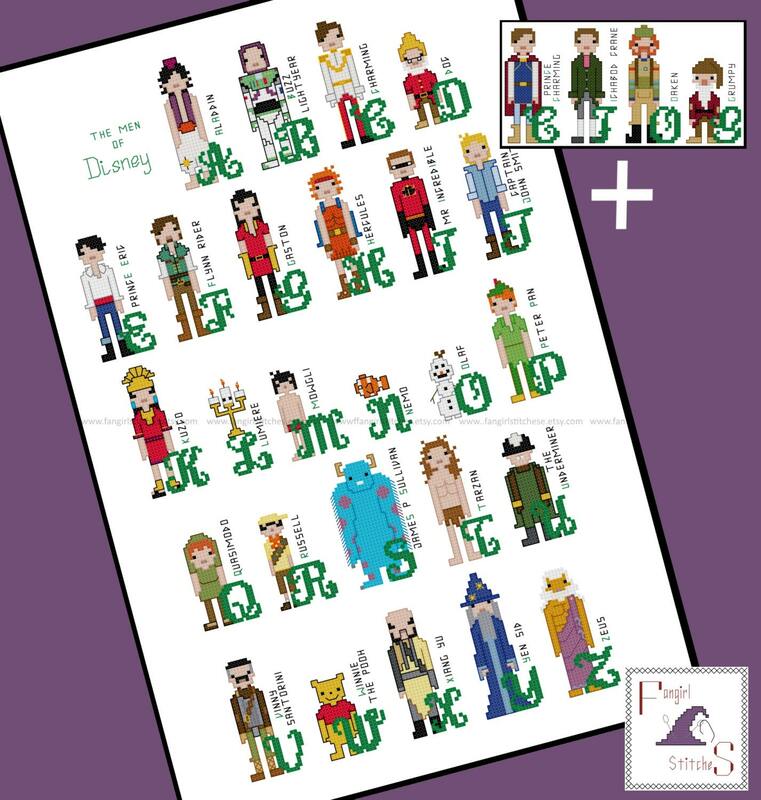 The pattern comes with four charts - a colour chart, and a chart emphasising the backstitch lines for both the main pattern and the alternative characters. The floss chart is DMC and Anchor, although of course you can adapt it to suit your preferred brand of threads (or whatever scraps you have on hand! ).